You may need to tweak the milk and protein powder amounts depending on how much you need to use. Enjoy!!! 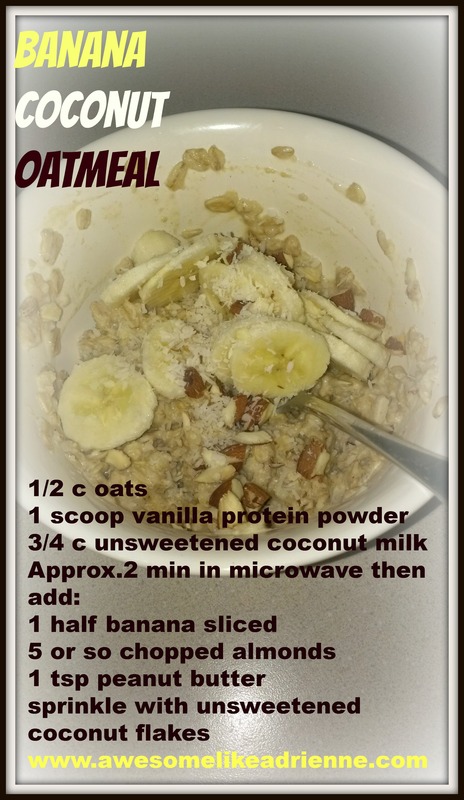 Posted on November 21, 2013 November 23, 2013 by awesomelikeadriennePosted in EatTagged almonds, anytime, banana, coconut, oatmeal, protein powder. Previous Previous post: 5 Days of Different!